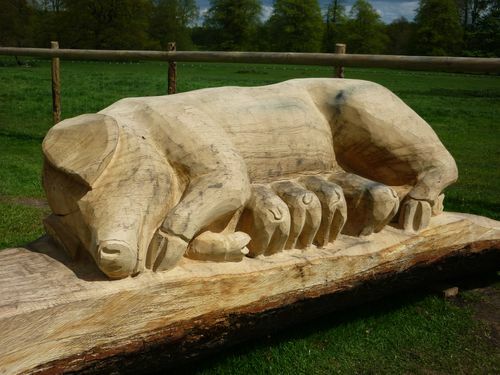 This chainsaw sculpture was completed in one day from a nine foot long oak log. The sow is about six feet long. The sculpture is situated on the approach to Home Farm at Tatton Park, Cheshire.